Pc Load Paper? What The %#*$? 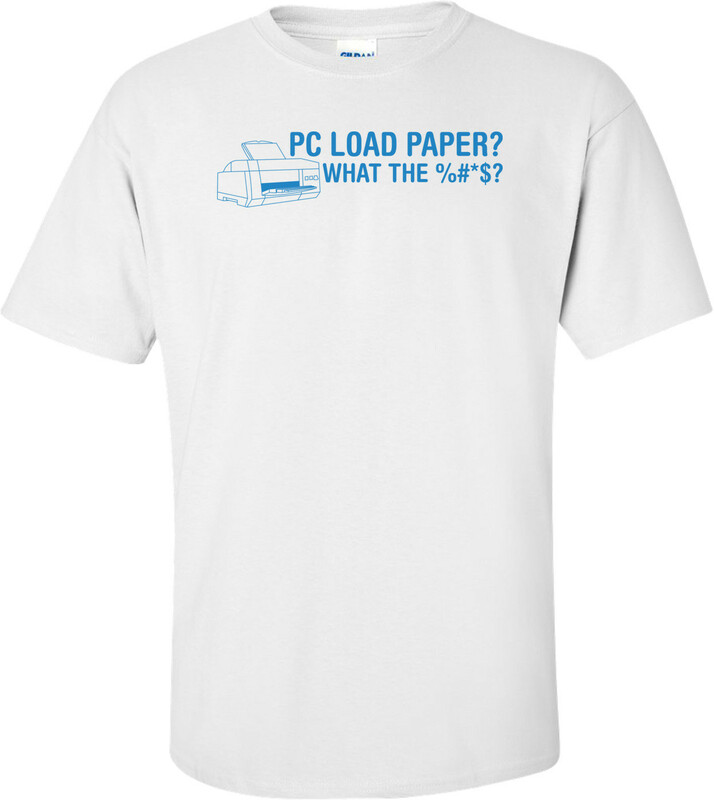 The classic line from Office Space was actually PC Load LETTER, but a lot of people heard it as paper so we had to make the shirt!